Gardner Mattresses makes it mattresses for you. That means we can use any material you’d like to build you the mattress for your unparalleled comfort whether it be wool, cotton, horsehair or latex. So if you’re committed to a greener kind of sleep, a soft gentler rest without fears of off-gassing or the allergic reactions of mold and dust mites—we’ll make your mattress chemical free. By embracing a high standard of craftsmanship that makes Gardner Gardner, we can make chemical free mattresses do what many think is only possible with chemicals. 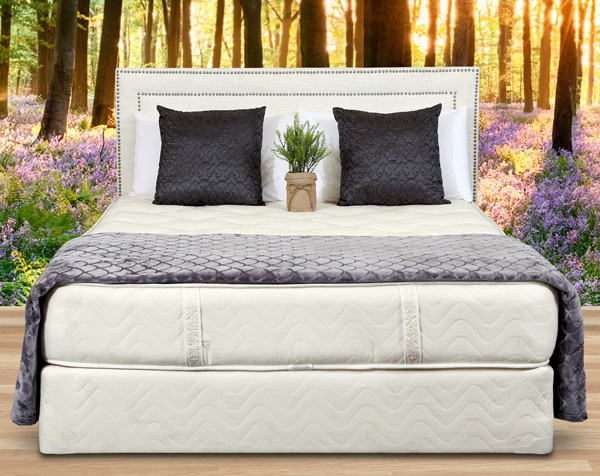 Chemical free materials can make a mattress unwelcoming to unwanted occupants— dust mites can’t survive in natural Talalay latex and natural wool is naturally waterproof and thus mold resistant. Chemical-free mattresses are often the mattresses of choice for allergy sufferers. Chemical free cotton won’t provoke allergic reactions. Neither will natural latex or rubber. As an added bonus, chemical free-wool is flame resistant. Finally, a chemical-free rest truly can be an easier rest. Organic wool and cotton both regulate body temperature, meaning less time getting comfortable and more time resting. Thanks to Gardner’s commitment to superior craftsmanship, every mattress—regardless if the material is chemical free or not–is designed with longevity in mind. Every time a mattress is pre-compressed and stitched by hand, it’s a promise of delivering the comfort and support you not only deserve but should expect from your mattress. Gardner Mattress can, and does, make you this promise. We promise that we’ll only use the best traditional or chemical-free materials according to your wishes. We promise to make your mattress by hand for you, and only you. We promise it’ll be the best night’s sleep you ever have. For more information about our chemical-free mattress options, visit our Natural Sleep Collection or contact us today.